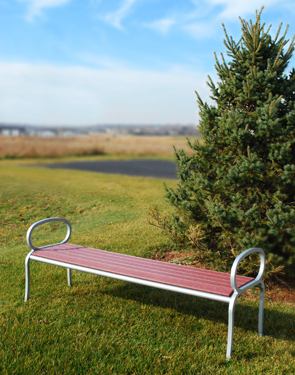 The Courtyard Backless benches feature a powder-coated cast aluminum frame with recycled plastic seats. The high density polyethylene recycled plastic is made from post-consumer recycled plastic containers and is graffiti and UV resistant. Ideal for outdoor use, the recycled plastic slats will not crack or rust. 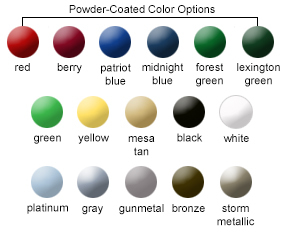 The powder-coated frame is highly anti-corrosive and is available in the color options shown below. Models are available with or without end arms, as well with or without center arms. Available in 2', 4', 5', 6', and 8' lengths. 6' and 8' length benches with one center arm have one center leg; those with two center arms have two intermediate legs. Footings come standard with pre-drilled holes for easy surface mounting.